Air purifying respirators come in a number of types so it's important to choose the right one for your work environment. For a work environment with the presence of dust from grinding, sweeping, sanding or other similar processes, particulate respirators are the most ideal. For environments with the presence of vapors that won't irritate the eyes, choose half mask respirators since these types have interchangeable cartridges. Full face respirators should be used for environments that can irritate the eyes as well as the lungs. Air purifying respirators are a class of respiratory protective equipment that works by preventing the inhalation of harmful substances through filtration. These respirators can be classified into two types: disposable particulate respirators and cartridge type respirators. Disposable particulate respirators or dust masks have the advantage of being lightweight and relatively comfortable. N95 particulate respirators fall under this type of respirators. 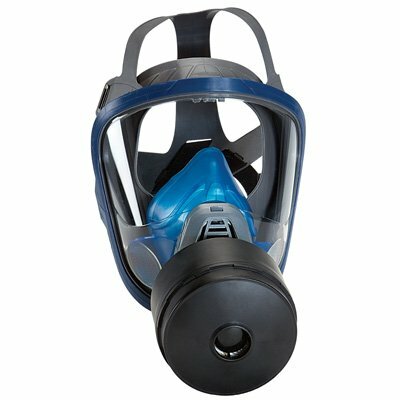 Cartridge type respirators can be either full face or half mask. These respirators do their job via replaceable filtering cartridges that are usually screwed onto the device. While not as lightweight, these are more versatile in that there are cartridges that can filter out particulates as well as vapors.